So it’s been a while since my last post, I’ve been busy with work and LOTS of little side projects that I hope to be sharing soon. Something that we’ve been trying to work on with our house and lifestyle is being more green. We are looking into getting a solar system and a few months ago I bought a weather controlled sprinkler system (to update the ancient one that came with the house). 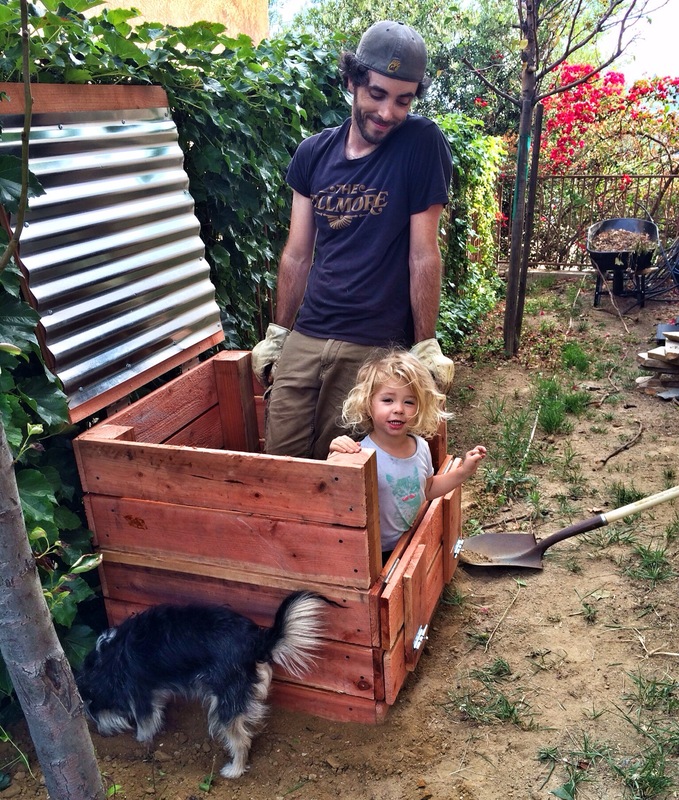 One big thing that we’ve been talking about for a while now is composting so this past Memorial Day weekend my daughter and I decided to build a compost bin. I borrowed a couple of design ideas from all over the Internet but the biggest influence came from this one. I decided to build it with redwood fence posts because they were half the cost and didn’t needed to be stained to look good. I also wanted to try my hand with some galvanized metal so I used it for my lid. All and all it took about 4 hours to make and place in the garden. My daughter loved each step but ended up being very disappointed that she couldn’t use it as a play house. Maybe the next project will make her happier?